I We are alone and our being together threatens to become unbearably boring. We must do something, devise a pastime; for example, I could educate you. Let us begin with your main flaw, which strikes me first: you have no correct self-esteem. Have you no good qualities that you can be proud of? You believe that being capable is an art. But one can also learn such skills to some extent. Please, do so. You find it difficult-well, all beginnings are difficult. Soon you will be able to do it better. Do you doubt this? That is of no use; you must be able to do it, or else I cannot live with you. 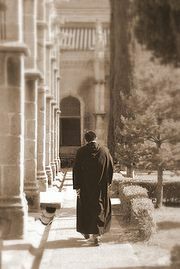 Ever since the God has arisen and spreads himself in whichever fiery heavens, to do whatever he does, what exactly I do not know, we have depended upon one another. Therefore you must think about improving, or else our life together will become wretched. So pull yourself together and value yourself! Don’t you want to? Pitiful creature! I will torment you a bit if you do not make an effort. What are you moaning about? Perhaps the whip will help? Now that gets under your skin, doesn’t it? Take that-and that. What does it taste of? Of blood, presumably? Of the Middle Ages in majorem Dei gloriam? Or do you want love, or what goes by that name? One can also teach with love, it blows do not bear fruit. So should I love you? Press you tenderly to myself? One could despair over you: your sensitivity and desirousness exceed any reasonable measure. And I should live with you, of all people? I must, since the strange misfortune occurred that gave me a son and took him away. I regret that I must speak such truths to you. Yes, you are laughably sensitive, self-righteous, unruly, mistrustful, pessimistic, cowardly; dishonest with yourself venomous, vengeful; one can hardly speak about your childish pride, your craving for power, your desire for esteem, your laughable ambition, your thirst for fame without feeling sick. The playacting and pomposity become you badly and you abuse them to the best of your ability. You, you of all people wanted to tell other people what to do? Come here, I will stitch a cloth of new skin onto you, so that you can feel its effect. You want to complain about others, and that one has done an injustice to you, not understood you, misinterpreted you, hurt your feelings, ignored you, not recognized you, falsely accused you, and what else? Do you see your vanity in this, your eternally ridiculous vanity? You find the pain unbearable, but there are other things that hurt even more, and you can inflict them on others with the greatest naivety and absolve yourself all unknowingly. But you will learn silence. For this I will pullout your tongue-with which you have ridiculed, blasphemed and-even worse-joked. I will pin all your unjust and depraved words one by one to your body with needles so that you can feel how evil words stab. For I want to get along with you-I must-damn you-you are my I, which I must carry around with me to the grave. Do you think that I want to have such foolishness around me all my life? If you were not my 1, I would have torn you to pieces long ago. But I am damned to haul you through a purgatory so that you too will become somewhat acceptable. You call on God for help? your God has become a fiery worm with a flat skull who crawls red-hot on the earth? You wanted to be superior! How laughable. You were, and are, inferior. Who are you, then? Scum that disgusts me. Are you perhaps somewhat powerless? I place you in a corner where you can remain lying until you come to your senses again. If you no longer feel anything, the procedure is of no use. After all, we must proceed skillfully. It really says a lot about you that one needs such barbaric means for your amendment. Your progress since the early Middle Ages appears to be minuscule. 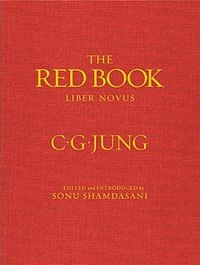 ~Carl Jung, The Red Book, Scrutinies, Page 333. Previous Previous post: Carl Jung: The disposition or instinctual "pattern" is inherited, but not the idea itself.